Daedalus is a highly engineered wallet with advanced security features, protecting your assets with the strongest cryptography yet developed. Daedalus runs the Cardano protocol and it participates directly in the network. As a hierarchical deterministic wallet (HD), you can manage any number of wallets. 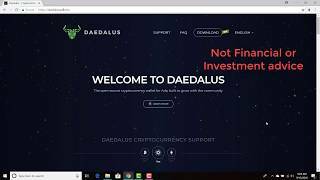 Daedalus allows you to have more control over how your funds (ADA) are organized. 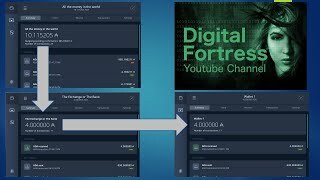 Future releases of Daedalus will allow third party developers to build innovative applications directly for the wallet. Whether you would like micro credit, to set up recurring payments, or to exchange cryptocurrencies, it will be easy to customize your Daedalus experience. It is important to note that Daedalus is a full-node wallet, which means that it downloads, stores and validates the full copy of the blockchain so it can operate in a trustless manner and does not rely on centrally hosted servers. This video demonstrates the simple installation of Cardano 1.4 software, a workaround in case of an error, and a new feature. 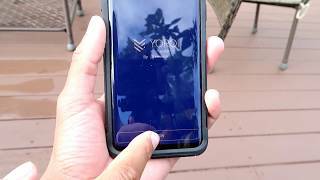 Yoroi is a light wallet for Cardano. It's simple, fast and secure. 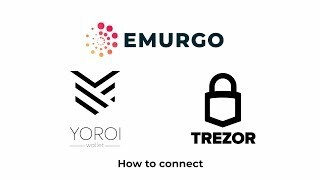 Yoroi is an Emurgo product, engineered by IOHK. It follows best practices for software in the industry including a comprehensive security audit. Yoroi looks to be a day to day wallet for a Cardano user. Another more technical explanation would be that: Yoroi is light, hierarchical deterministic (HD) wallet for ADA running as a Chrome extension. It is important to note that Yoroi does not download the full copy of the blockchain. It connects to trusted servers which have the full copy of the blockchain. Yoroi has a cold-storage option as it's compatible with Trezor. See videos below for help & tutorials getting setup. Devices: Does not work in iOS or Android. 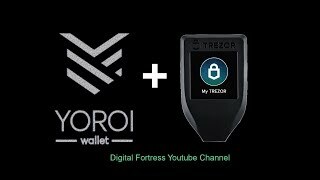 This video highlights the necessary steps get started sending ADA using a Trezor Model T Hardware wallet. AdaLite is a light and fast ADA wallet that aims to provide a full-fledged, in-browser alternative to Daedalus. It does not store your funds, mnemonic or private keys. It is an open-source client-side interface for direct interaction with the Cardano blockchain. With ADALite, there is no need to download a large installation, or synchronize blocks! In addition, AdaLite offers the option to use Trezor model T for hardware storage. It is key to note that AdaLite was not created by Cardano Foundation, Emurgo, or IOHK. This project was created by Vacuum Labs, whom are mentioned quite often by Charles Hoskinson and IOHK. The Infinito claims to be the "World's First Universal Wallet". It stores ADA, as well as BTC, ETH, EOS, NEO, ONT, LTC, BCH, ETC, DASH, DOGE, GAS, ONG and all tokens on ETH ERC20, NEO NEP-5, and EOS. This list of coins is steadily growing, and they will soon add a price change alert feature. This multi-lingual (12), multi-wallet wallet (tongue twister) also includes Touch ID Support for fast access without sacrificing security on the app. If you do decide to use this wallet to store your ADA, then have no fear, because it looks like IOHK is a partner (according to their website). The Atomic Wallet is a Universal Multi-Assets Wallet. In addition to Cardano, you can manage over 300 other coins and tokens in a single interface. According to their website, the Atomic Wallet provides a powerful, in-demand service that allows users to reduce effort spent on managing crypto assets​ and makes it transparent and reliable. I've honestly never used this wallet. It wouldn't be my first choice for holding Cardano, but it sounds very intriguing, especially if you have other coins that they allow. Operating System: Atomic Wallet is available for all major Operating Systems.